Premier Auto Trade, the Home of Premium Brands, has recently started to roll out new packaging for some of its premium range products that were previously plain packaged. Unfortunately, over the past few years, the Australian aftermarket has seen a significant increase in lower quality EFI and Engine Management products. It is easy for consumers and even technicians to be confused as to the quality of the products in the market. Because the issues experienced by workshops installing low quality parts can include safety, expensive repairs and damage to your reputation an increased request for quality products has become evident in the aftermarket. Sometimes products shipped from leading manufacturers overseas require repackaging in Australia. In these cases Premier Auto Trade has begun to use their new range of premium packaging to enable easy identification of the premium brand or genuine product. Where required products from leading manufacturers including Pierburg, Bosch, Delphi, VDO, Denso, Valeo, Hitachi, VDO, TI Automotive, Walbro, Bougicord, FAE, Standard Motor Products, TE Automotive, Hella, Bremi and others may be supplied in the new PAT Premium Range packaging, giving you peace of mind that a quality brand product is enclosed. Additionally a new identification label is also being used to mark PAT supplied products. 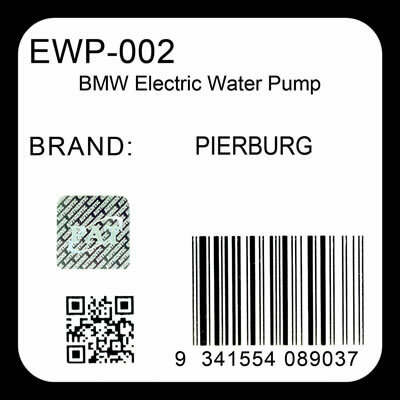 The new label includes details of the genuine item or manufacturer’s brand name, and also features an authentication hologram to ensure you are getting the real thing. Premier Auto Trade remain focussed on supplying the Australian Aftermarket with premium quality components from the world’s leading manufacturers, and now offers one of the largest EFI and engine management product portfolios in the Australian aftermarket. When you supply and fit products from Premier Auto Trade you can expect a product designed and tested to the vehicle manufacturer’s specifications offering superior performance and exact fit every time. Premier Auto Trade distributes products throughout Australia via a network of specialised resellers and leading automotive retail groups.